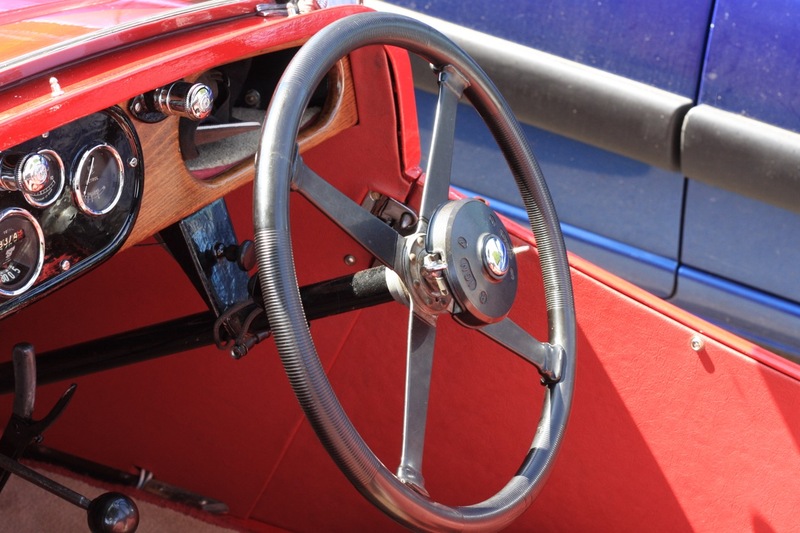 The understanding of the front to rear wiring run is easier than the main loom; there are less variables throughout the production run 1933-37. These images show a 1937 car and the start of armoured wiring leading from the under-dash area backwards – for the functions of stop and rear lamp, and fuel sender. The loom runs underneath the car and comes up behind the door pillar, running above the floor to reach tail light and fuel tank sender. There is only a single wire which branches off to the sender via a 5/8″ grommeted hole in the boot floor prior to the wooden divider between passenger compartment and spare wheel space. The images below are from a 1936 car. Note the grommet into the boot as being from when there was just one rear light. Do others have evidence of boot grommet points in the same place? Thanks to Ian Williams, Chris Gould, Nick Boorman and Dave Griffith for descriptions and images. 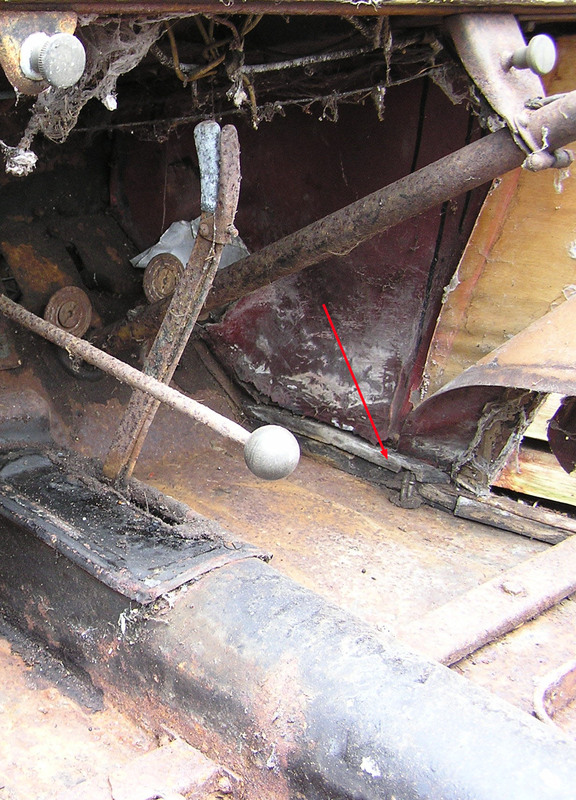 The photo of the 1933 car seems to show original trim panels. If so, some of the material should be preserved as patterns to get reproduction material made. Also does the front panel extend to overlap the door opening? I have seen this on a restored car so do not know if it is original. I do have what I believe is original material, dark red Rexine or similar and also what I think is original dark red leather used as trim on the rear wooden top rail of the cockpit and around towards the doors.